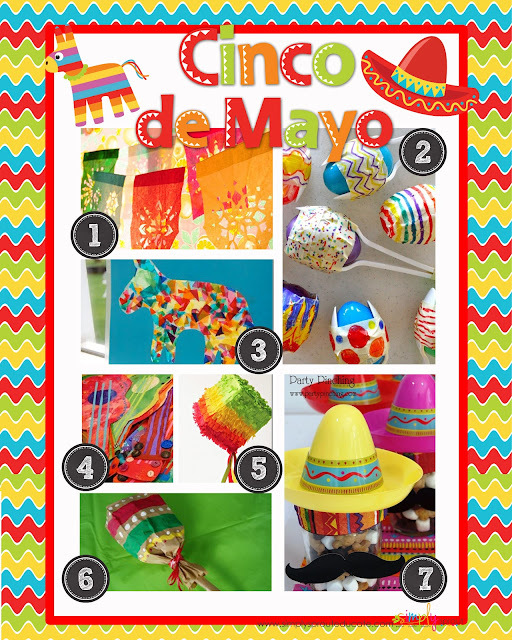 We have rounded up some colorful and crafty activities that are just perfect for celebrating Cinco De Mayo. Introduce students to new traditions and cultures through these fun activities. 1. Tissue Paper Banners Papel Picado or punched paper banners are a Mexican tradition passed on from generation to generation, each design very intricate. Have students create their own designs using tissue paper and a pair of small scissors. 2. Mini Maracas what a great way to make maracas, this website goes through it step by step. Recycle those plastic easter eggs, fill with beans or seeds, affix two plastic spoons onto either side attach masking tape, have kids color using vivid markers, or use washi tape to decorate. 3. Burro Pinata Suncatchers Use small scraps of tissue paper to create this adorable pinata sun catcher, great artwork for those classroom windows. 6. Paper bag maracas, such a cute easy way to make maracas, have students shake them to some traditional Mexican music. 5. Make a mini pinata using a small tissue box Decorate using bright colors of fringed tissue paper, attach colorful ribbon. 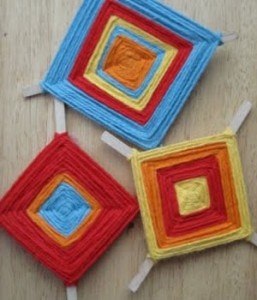 Colorful Yarn Ojo de dios or God's Eyes, Use popsicle sticks glued into the shape of a cross, use colorful yarn to wrap around. 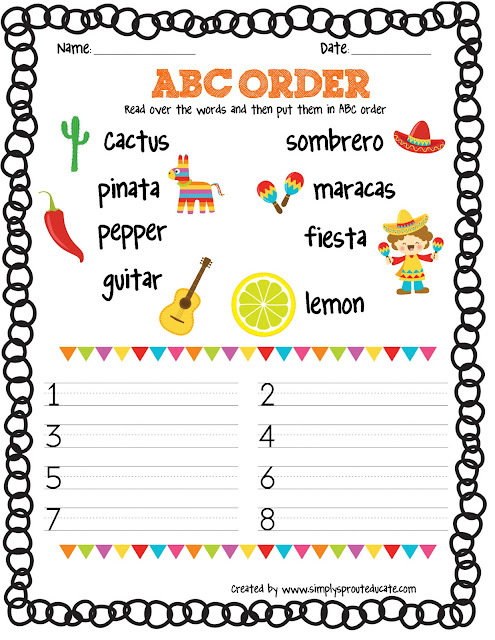 We have created a sampler pack that includes activities for Math games ( perfect for a math center or station) ABC order, writing activities, activities on adjectives and much much more. It's a colorful world a review of colors contains activities meant to review the 6 basic colors in English and Spanish. The first activity is a color sort. students go on a scavenger hunt around the room (or outside) and look for items that represent each color. they draw and label the items. There are 6 color cards in Spanish (these can be laminated and used as a center, or for a bulletin board) students find objects and place them onto color cards. The last activity is a color memory game cut and laminate the cards and have students match the color word in English to the Spanish color. perfect for an independent center or a quick review. 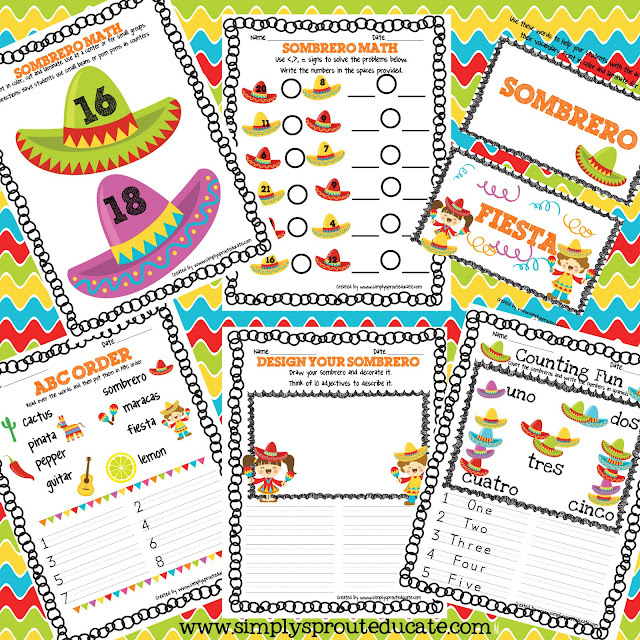 Grab your Cinco De Mayo FREEBIE below!